After this last trip to Vegas, I’m beginning to wonder if I should just stop playing tournaments and concentrate on cash games. Since the beginning of the year, I’m ahead playing NL cash games. Where I’m losing money is on the tournament play. What’s weird is I really started making the transition from limit to NL via tournaments. I studied up on playing NL tournaments first, and then on a trip in November of last year, I cashed over $1000 each in two tournaments within 4 days of each other (see here and here). Ironically, or perhaps not so ironically, this was before I had played hardly any NL cash games. Since then, I’ve had some success in tournaments, a few small cashes, but the farther back those two nice runs become, the cashes I have been having have been getting smaller and less frequent. Now, although there are a lot of similar concepts used in playing NL tournaments and NL cash, there are also a lot of differences. 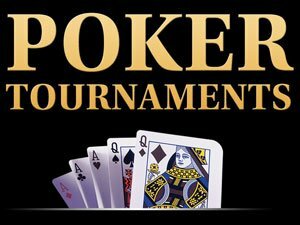 Is it possible my experience—such as it is—in cash games is somehow hurting my tournament play? Am I trying too hard to make take my cash game to tournaments? Is it just a coincidence? It does seem the last batch of tournaments I’ve played, I’ve been especially card dead. In a cash game, when you’re card dead, you can afford to wait it out, or time your “moves” very carefully. In tournaments, with the blinds continuing to go up, you don’t have that luxury. Or were the two big scores I made just total flukes, proof that there’s a lot of luck in this game, something that I’m not good enough to ever repeat? I don’t know, but I tell you, right now, since I prefer winning money to losing it, I’ll probably be playing a lot fewer tournaments in my upcoming Vegas trips, at least for the time being. Last trip, I played in five tournaments, cashed exactly zero times. I’ve already blogged about two of those tournaments, the AVP tournament here, and the TBC tournament here. It was the latter where I came closest to cashing, bubbling instead. In this post, I’ll combine the stories—such as they are—of the other three tournaments. It shouldn’t take long, unfortunately, since I didn’t last long in any of them. Since it’s me, doing a separate blog post for each of them would make for unacceptably short posts. I’m afraid even combining the three of them will not make this a sufficiently long blog post by my standards. My first attempt was the old stand-by, the Aria 1PM tournament. When I got there, I was a bit confused because they had set up the tournament separately from the regular poker room. Presumably this was because they have bigger turnouts this time of year, when the WSOP is running at the Rio. And indeed I was told the day before, a Monday, they had 185 entrants. A couple of things I didn’t like about the new area. One, no TV monitors. This was only going to be a problem if I lasted long enough to still be there when the NBA finals game scheduled for that night started. Unfortunately, or fortunately, it didn’t become an issue for me. Also, the temporary tables didn’t have automatic shufflers (temporary tables seldom do). Minor point, but one of the great things about this tournament is the long structure, so taking away the shufflers somewhat mitigates that. Anyway, I was assigned to a friendly table but the cards were anything but friendly. The guy to my left is some kind of computer programmer who doesn’t have a permanent residence. Everything he owns fits into his car and goes from place to place and sets up temporary lodgings anyplace that has internet access. For WSOP, he took a room for a month at neighboring Vdara for what he said was a reasonable rate of $2900. I was so card dead I only remember two hands. One of course was with the dreaded pocket Kings. I made a reasonable raise and got one caller. The flop was all low, 8-7-4, and two of a suit (don’t remember the suit, but it didn’t match either of my Kings). I put out a 2/3’s pot sized bet and the other guy made a big raise, triple my bet. Hmm….I kinda smelled a set there, thinking te had called my preflop raise with pocket 8’s or 7’s, And I also didn’t like the coordinated board. Even if I was ahead, there were too many chances for the other guy to catch up. How much did I want to lose on an overpair (my personal demon overpair, at that) with a board like that? Answer, no more. I folded, never knowing if I did the right thing. I was hoping for a better hand to play, but it didn’t come. Soon after the first break, down to about 10 BB’s I picked up pocket Jacks. If I had a lesser “big” hand I might have shoved there, but I decided to just make a good opening bet there, about 1/3 of my stack. One caller. When no card higher than a 10 hit the flop, I shoved. Ugh. Guess what the lady who called me had? Of course….pocket kings! I would have shoved pre-flop if she had 3 bet me anyway. No Jack on the turn or river, and, since she had me well covered, I was done with the tournament. Returning to my room to lick my wounds, I finished up doing some research on all the extra deepstack tournaments around town that had been added because the WSOP is in town. Turns out Caesars Palace had a series that sounded intriguing. For $130 (only $5 more than the Aria 1PM) you start out with $15K in chips, not $10K like the Aria. Also, although the blinds start at 50-100, not 25-50, they wait a lot longer to start the antes. Thirty minute levels, just like the Aria. So it seemed like a good deal. Only problem was it started at Noon, which is pretty early for me when I’m in Vegas. Try as I did, I couldn’t, get myself out of my hotel room early enough to have some food before getting to Caesars. Since it had been ages since I’d been to that casino and I’ve actually never actually parked there before, I wanted to make sure I got there early. I knew I would be spending a lot of money for a quick, probably lousy meal at that casino but I didn’t leave myself a choice. I did find the “backdoor” entrance to the parking structure ok (by “backdoor” I mean you can access it without driving on the Strip, which is against my religion). But what I thought was a parking spot close to the casino turned out not to be due to some terribly misleading signs. After the long walk, I had to reorient myself to find the poker room as I’d never gone there from the parking structure before. Once I found it and registered for the tournament, I had about an hour to find a “cheap” meal and eat it before the tournament started. Turns out there was a snack bar/restaurant right next to the poker room where I could get a hot dog and fries for only $12! I would have done that but there was one problem; although it was now 11:15, the place appeared not to be open. Huh, why would it not be open when it clearly is supposed to service the poker room and the poker room has a big deepstack tournament starting in less than 45 minutes? Does that make sense? Soon? Ok, I can’t afford to wait. So I ask him if there are other eating places nearby. He said there were a couple “over there” and I head off in the direction he pointed. I found a little stand with a French sounding name that appeared to have a selection of about half a dozen pre-made sandwiches. One of them sounded relatively inoffensive—a turkey sandwich—that was “only” ten bucks. So I ordered that and a Diet Pepsi (20 oz bottle). This came to over $16 because they charged me FIVE DOLLARS for the soda. And there was no place to eat the food. I wondered over to a slot machine and sat in the stool in front of it to eat. Not too pleasant. I should have gone to the sports book to eat, it would have been more comfortable. Anyway, I couldn’t believe the size of the sandwich they gave me. It was a joke. Three bites, tops. For ten fricking dollars? What a joke. I was hungry before the damn tournament even started. This would have been a problem if I had lasted deep into the tournament. But that wasn’t a issue, as it turned out. I wasn’t surprised by the lack of shufflers in the tournament, but I was surprised the tables were each 9 handed. Used to seeing 10 handed for tournaments, even as it is getting more and more common to see cash NL games that are 9 handed. During early play, I did see a dealer error which caused a lady to bust out when she should not have. Unfortunately, I wasn’t paying enough attention to notice and the player who did notice didn’t speak up in time, he basically only discussed it with a few neighboring players, and not the dealer. A short-stacked player shoved with Ace-rag, and was called by AQ. By the river the board had an Ace, two 10’s and a King. The dealer showed that that the Queen was the better kicker and pushed the pot to the deeper stacked player. The short-stacked lady took off. But of course, the Queen didn’t play, the best hand was 2 pair, Aces and 10’s, King kicker, the board should have played and they should have split the pot. Again, unfortunate that the lady didn’t notice that and also the player who did didn’t say anything. After winning a few small pots early, I went completely card dead and was foiled on every move I tried to make. Even with such a deep starting stack, it didn’t take me very long to get very close into shove-or-fold mode after the one break I made it thru. Seeing pocket 8’s, I didn’t shove preflop (a mistake) but made a big raise. One caller, a guy new to the table, an Asian gentleman who, on his very first hand at the table, when he was UTG, called the BB blind since he was too busy getting settled in to look at his hand. That should have told me something. Nothing above an 8 hit the board, so I shoved. I was called (much bigger stack) and he showed pocket 3’s for a set. And I was done. On the plus side, if I had played deep into the tournament, I would have starved to death and I would not have been available to meet Lightning for the first time, as posted here. Knowing I was committed to two more tournaments that coming weekend, I gave it one more shot the next day, at the Rio. Actually it was the 2PM WSOP deepstack tournaments that had been running since the series started. I had committed to playing this one when I first got to town. As explained in the post here, my friend Prudence had actually asked me to join her boyfriend Tom and her in the 2PM deepstack that took place, Sunday, the day I arrived in town. That didn’t work out, but Prudence and I agreed to tackle this same tournament together on Thursday. Meanwhile, the two of them both cashed in the tournament Sunday. She was hoping lightning would strike twice for her. I was just hoping to get a hand worth playing more than once per two hours. We didn’t get the same table, we were actually back to back at adjoining tables. I’ll have plenty more to say about this day with Prudence at a later time, but for now, I’ll only cover the tournament portion of the day, which will be short and not very sweet. Totally card dead yet again, I lasted less than two of hours. Actually I didn’t even make it to the break this time. What killed me was getting J/9 suited in late position. I believe I limped or called a small raise. It was the best hand I’d seen all day. Seriously. I flopped two pair, and the third card was an 8, and two of the same suit (not mine), so it was a scary board. I put out a big bet, wanting to chase away the draws. A guy who had just come to the table (ain’t that always the way?) check-raised me, making a pretty big bet. The guy had to show his ID to the dealer when he took his seat (we all did at this tournament) and instead of a drivers license it was a passport. I immediately pegged him as an aggressive Euro (he was German or Scandinavian). So I didn’t necessarily think he had me beat. Although he’d only played a couple of hands by this time, my “profile” made me think he could make this move with Ace/Jack or less. I didn’t really think it through, but with two pair and a pretty big bet out there already, and a shrinking stack, I just decided it was now or never and shoved. Even if he did have a hand, I could still fill up. Have to get lucky some time, right? He insta-called and showed Q-10 for a flopped straight. I didn’t fill up. He had me covered and suddenly I was gone. Another unsatisfying, all-too-short tournament experience. Turns out that lightning didn’t strike twice for Prudence either, she was out before I was. Ugh. I know I may have misplayed the few opportunities I had in these tournaments, but man, was I consistently card dead in everyone I played. I was getting much more playable hands, on average, playing cash. Maybe just a real bad run, I dunno. But now you have a pretty good idea why I’m thinking of playing few tournaments (if any) and more cash games on my next visit to Vegas.